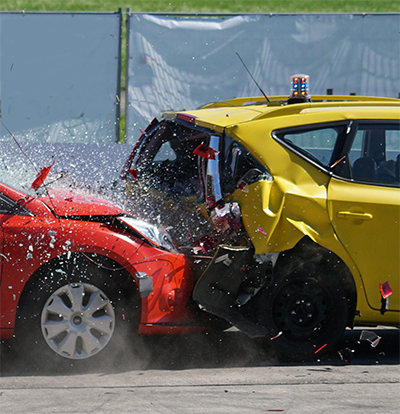 Being in an accident can cause physical and emotional damages to both parties. When it comes to seeking judgments for those damages incurred by a rear-end vehicle collision, the rulings can get quite tricky. Determining fault in these types of accidents is the key to rewarding damages. Having a highly experienced auto accident attorney on your side, such as Christian G. Payer, will be crucial in determining your cases outcome. Since a district court ruling in favor of the front driver of a rear end collision back in 1958, the general assumption of Florida law was the rear end driver was always assumed at fault. The front driver should never be driving recklessly. You should be slowing down over a proper distance to allow following vehicles time to react. Whenever you’re driving behind another car you are required by law to keep a safe following distance. Following too closely can result in an accident if the car in front of you needs to make an abrupt stop. This means that partial negligence of the front driver can be deemed as long as there is proper evidence brought up in court by an auto accident attorney in Orlando. The amount of negligence that is placed on either driver falls under the Comparative Negligence Law of Florida. This law allows damages to be rewarded based on a calculated percentage of fault for each party of the accident. The rear driver of a rear-end collision will always retain some percentage of fault no matter what city they’re located in the state of Florida. This is due to the fact they were following too closely to safely stop. However, if the rear driver is able to prove they were not the sole proximate cause of the accident, they are able to share the blame with the front driver(s). Blame can be dispersed in multiple percentages. For example, some front drivers may be 25 percent at fault, while others may be deemed 50 percent at fault. Once the percentage of fault is decided by the court ruling, damages are awarded based on the degree each party is at fault. An experienced lawyer from the Payer Law Group can help you determine the likely percentage of the fault you will be responsible for. These are just some examples of neglect that can be placed on the front car driver. There are many instances that are more individualized depending on the case at hand. Speaking with an auto accident attorney in Orlando will help you to understand where fault can be placed on the front car driver. If you are a victim of a rear-end car collision, it’s a good idea to speak to a trained auto accident attorney in Orlando to discuss your case. Depending on your unique situation, you may not be fully at fault for the collision. The Payer Law Group will be able to analyze your situation and supply you with the best form of defense to convict partial fault on the front car driver. No Car Insurance and You Were At Fault in An Auto Accident?